Woburn Osteopaths is a patient-centered practice with accessible service. We are a skilled, well-qualified and friendly team of registered osteopaths practicing within Woburn’s newly converted Old Fire Station. We offer appointments 6-days a week, including evenings and a range of private health insurers approves us. Please contact us if you would like to make an appointment or to discuss any aspect of your care. We are a family-run practice of registered osteopaths, each with a different field of specialism and interest. We work hard to maintain high standards of osteopathy and professional excellence and we regularly embark on courses to keep our knowledge and treatments up to date. Originally from London, Luke graduated from the British School of Osteopathy with distinction. He splits his week between Woburn Osteopaths and Stowmarket Osteopaths in Suffolk, where he works with a team of highly experienced practitioners lead by Tim Oxbrow. Whilst developing his skills in the cranial field, Luke has developed a keen interest in also treating infants and children. Luke is a keen indoor climber, snowboarder and 7-a-side footballer. He really enjoys listening to and discovering an eclectic mix of music, inspiring him to complete a prize-winning undergraduate dissertation entitled Music for relaxation and the implications for its use within the osteopathic treatment room. Last but not least Luke is a novice allotmenteer, spending time whenever he can nurturing a sizeable plot of fruit and vegetables and learning many lessons along the way. Nikki also graduated with distinction from the British School of Osteopathy. She divides her working week between Woburn Osteopaths and Northampton Saints Rugby Club (Aviva Premiership Champions 2013/14) where she is the professional squad’s osteopath amongst a very talented, multi-disciplinary medical team. Previously Nikki spent six years in a corporate role in London and understands from experience the physical effects of office life. She uses this to her advantage as an osteopath with informed advice on ergonomic set-up, work posture and lifestyle for working professionals. A keen sportswoman, Nikki has completed a number of endurance events, accruing along the way a long list of tips to help people to attain their race goals. She will gladly share training plans and sports nutrition ideas. Her Master’s degree dissertation focused on Extrinsic factors and training errors associated with overuse running injuries. In case it is of use, Nikki speaks French and Spanish. Carly is an experienced graduate from the British School of Osteopathy and she divides her time between Woburn Osteopaths & her own practice, Luton Osteopathy. As an undergraduate she specialised in the treatment of pre- & post-natal mothers and continues to be very helpful with pregnancy-related pain. Carly has additionally developed a keen interest in sports injuries (in particular runners, triathletes and cyclists) since discovering running herself and completing her first London Marathon. She is a qualified England Athletics running coach, enabling her to formulate training programmes and advise on pre-race screening, hydration, nutrition and basic running gait analysis. In the winter Carly is a keen skier and she regularly helps patients to get ski fit for their winter sports holidays. Katherine (Zhi-Hua) Gao began her medical training at the age of 16 at Nanjing University of Traditional Chinese Medicine in Nanjing, China. During her 5-year, full-time course she studied both Western and Chinese Medicine. After some intense training and hard work, she graduated with a Bachelor of Medicine and began her career working at Nan Jing Red Cross Hospital in China as a Traditional Chinese Medicine doctor. During this time she gained vast clinical experience in both Chinese and Western Medicine. Katherine moved to the UK in 2000. Her fluent English helps her to understand both her patients and the British culture extremely well. She has been working in the Central Bedfordshire area since 2005, successfully treating a large portfolio of patients in pain or with hormone imbalance-related issues. She always try to help the patient to understand their body and problems before each treatment. Katherine is a member of the Register of Chinese Herbal Medicine (www.rchm.co.uk). 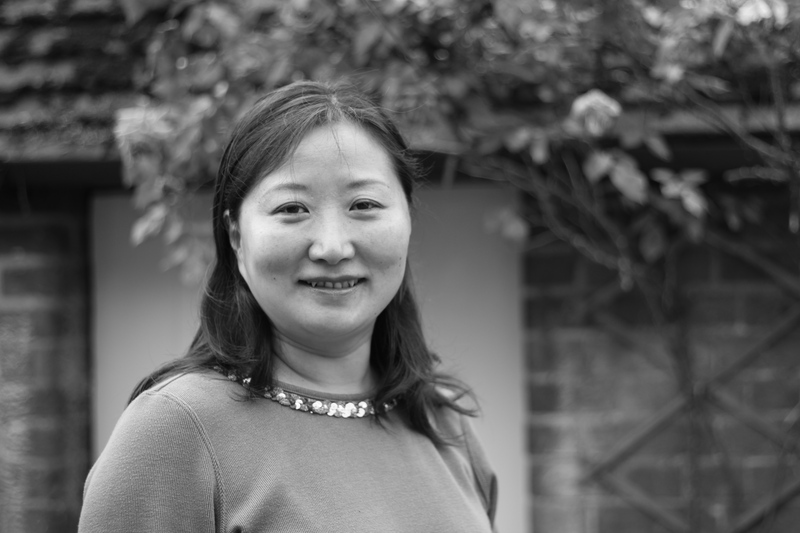 She is fully covered by professional healthcare practitioner insurance and is also registered with Central Bedfordshire Council as an acupuncturist. Katherine has lived not too far away with her husband and son since 2007. She loves nature and believes it has huge healing powers for our body and mind. Katherine can be contacted via Woburn Osteopaths or alternatively by email (katherinegao28@yahoo.co.uk) or mobile 07890 470161. Carla is originally from Portugal and has been working and living in England for the past fifteen years. She comes from a background in music and theatre but with a keen interest in health and fitness, she decided to have a career change. She graduated from the Oxford School of Sports Massage (OSSM) obtaining a BTEC Level 5 in Clinical Sports and Remedial Massage. It was here that Carla gained skills in soft tissue and myofascial release, neuromuscular techniques and trigger point therapy, all of which she utilizes in her sessions. She believes tissue rehabilitation to be an integral part of any injury treatment. Carla has a busy family life with two young children, but still finds the time to sing with her band in and around Milton Keynes, something which she loves to do. Emma qualified as a personal trainer and nutrition advisor with Premier International in 1998, consulting on a freelance basis alongside her work as a professional singer and dancer. She went onto secure a postgraduate certificate in education in 2004 and worked hard to balance an additional role in lecturing. In 2013, passionate about healthcare having experienced her own burnout and health challenges, Emma elected to specialise in naturopathic nutritional therapy at the Natural Healthcare College. She went on to set up her own business as The Nutrifit Coach, providing private consultations and educational workshops on nutrition and lifestyle management for schools and corporate clients. Having been on a journey herself and positively changed her health, lifestyle and outlook, Emma is a firm believer that sound nutrition is the foundation for optimum health. She is excited to be a part of the team at Woburn Osteopaths providing advice on all aspects of nutrition, fitness and lifestyle management. She is a fully qualified and insured member of the Naturopathic Nutrition Association. Emma can be contacted via Woburn Osteopaths or alternatively by email (nutrifitcoach@hotmail.com) or mobile 07583 035406. Trevor has a degree in Counselling and Psychotherapy from The University of Warwick. He is a member of the British Association of Counselling and Psychotherapy (BACP) and has an Enhanced DBS (formerly CRB). He has worked as a counsellor for the NHS, Mind and a cancer charity. His clients have presented with a wide range of issues including stress, depression, anxiety, bereavement, suicidal ideation, low self-esteem, dysfunctional relationships and sexual abuse. There are many reasons why people seek the support of a therapist. They may be experiencing relationship difficulties, depression, work pressures, family breakdown and anxiety issues affecting their daily life. Many people are having difficulty coming to terms with unresolved, traumatic experiences. Talking to someone who neither connected to your life nor judgemental can help make sense of what has happened or is happening. Trevor is an integrative therapist, which means he tailors therapy sessions for each individual client and utilises different psychological theories and approaches. Central to his work is the importance of the therapeutic relationship and its capacity for positive change. Trevor works with adults, families and young people over the age of 11. He also works as a Children’s Home Inspector and as an advocate for children and young people subject to a care order. He has an interest in adoption issues and works as an independent panel member of an adoption agency. Trevor charges £40 for a 1-hour session. Clients usually work with Trevor for a minimum of six sessions, but many clients enter into a longer term commitment. Trevor reserves a limited number of sessions for clients who are experiencing financial difficulty – please contact Trevor for further information. Trevor can be contacted via Woburn Osteopaths or alternatively by e-mail (trevor@goodlistening.co.uk) or mobile 07815 898739. Robin is a Chartered Member of the Chartered Institute of Personnel and Development. He is an accredited Hypnotherapist and a Master Practitioner in Neuro Linguistic Programming (NLP) having trained with world leading exponents in those fields. Robin has spent the majority of his working life in training, developing and coaching people at every level in national and international organisations. He spent several years conducting confidential counselling with people who were experiencing the traumas of redundancy. There are many issues that Robin can help with, including but not limited to: low self confidence, phobias, exam nerves, anxiety, performance enhancement, preparation for and rapid recovery from surgical procedures, quitting smoking, weight control. Robin always welcomes enquiries in confidence and without obligation. A consultation and treatment lasts typically 90-minutes. Robin charges £188 for a quitting smoking in one 90-minute consultation. Other issues are charged at £88 for each 90-minute consultation and in some cases, such as phobias, only one consultation is usually needed. Other problems such as weight control would typically call for 4 sessions spread over 4 to 6 weeks. Robin can be contacted via Woburn Osteopaths or alternatively by e-mail (info@robin-how.co.uk) or mobile 07553 091222. Additional information, including fact sheets, can be seen at www.robin-how.co.uk. Sarah qualified as a counsellor/psychotherapist in 2007. She is an accredited member of the British Association for Counselling and Psychotherapy (BACP). Sarah has worked in both NHS and private settings since qualifying. Her fundamental belief is that a trusting and confidential relationship is the key to successful therapy. Sarah’s theoretical approach is integrative – an incorporation of various therapeutic strategies best suited to her client’s individual needs. Her areas of expertise include depression, anxiety, trauma, abuse, work-related stress, family and relationship issues. She has also worked in the field of mindful approaches to chronic pain. Sarah has three adult children and is a passionate gardener and tennis player. She can be contacted via Woburn Osteopaths or alternatively by mobile 07966 771039.